Need more convincing? We'll let our reviews do the talking. "Gainful is more than just a protein powder. Curious about an ingredient or simply want to set a realistic weight loss goal? 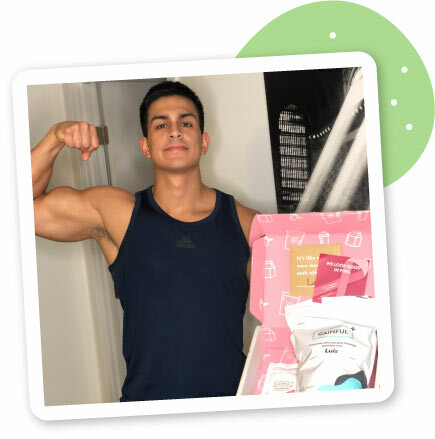 Connect for free with your very own Dietitian – whenever it's convenient for you." "Where do I even start?! Gainful has made such a positive impact on my overall health! They have crafted the perfect blend of protein powder that fits my needs leading to all of my goals being reached. I have seen my body change rapidly just the way I wanted thanks to their quiz that asked all the right questions about me. Melting away fat while building lean quality muscle. Trust me when I say this, there is no other protein out there that can compare to the quality and results you’ll get from Gainful." Want to try us out for yourself?